Some background: By 2030–40, the projected annual electrical energy consumption will be a staggering 220 trillion kiloWatt hours, double the consumption in 2010 — and four times more by 2090–2100, according to the International Energy Agency and U.S. Department of Energy. However, so far, the SSP concept has lacked the needed in-depth technology, market, and economic assessment. (I’ve personally been skeptical.) But on Monday Nov. 14 at a press conference (open to the public) at the National Press Club in Washington, D.C., the National Space Society will announce the findings of an impressive three-year, ten-nation study of space solar power by the International Academy of Astronautics (IAA), co-chaired by John Mankins, a 25-year NASA veteran who headed NASA’s study of space solar power in the 90s, and Prof. Nobuyuki Kaya, Vice Dean of the Graduate School of Engineering, Kobe University. Flight experiments are needed, and policy-related and regulatory issues must be resolved. “The report gets across one very basic message: in the eyes of the leading experts on aerospace technology worldwide: harvesting solar power in space and transmitting it to earth is no longer science fiction,” says author Howard Bloom in a companion announcement by the Space Development Steering Committee. “It is sound, current-technology-based science fact. And it is a green energy option we can’t ignore. “We run on energy like Rome ran on slavery,” says Hoffert.”But we’ve hit an economic, energy and environmental wall. 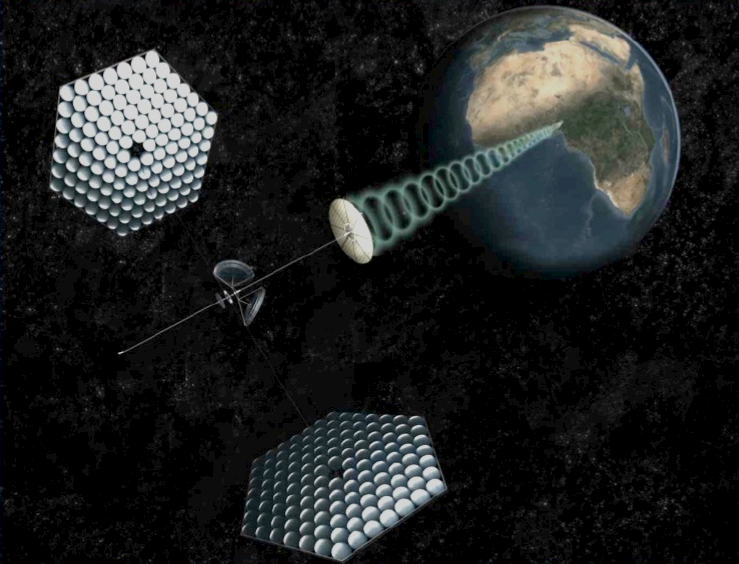 Space-based solar power is a technologically ready path over the wall to sustainable high tech civilization on Earth; an ideologically cross-cutting approach encompassing the military-industrial complex and Occupy Wall Street. Without any doubt the components technology for space solar power as well as various system concepts have been developed and tested successfully. The next logical steps are the validation of power transmission from space to ground, and power storage at a continuously increasing level to validate the economical analysis and create financial, technical, social, environmental, and political support across the globe. The industrial countries of the world cannot and should not miss this opportunity to meet their energy demand safely while creating financial and job growth.